The Xiaomi Redmi Note 3 Android was one of the best phone suitable for the low end. The device brings the ever known MIUI operating system which is still regarded as the best. Even to this fact, we can’t possibly deny the beauty and smoothness of a “Stock Android”. When it comes to comparing the MIUI with the Stock UI, I’d say that the “Stock UI “wins in the game. No bloatware, No fancy animations, just everything about the Stock Android has been coded clean with exceptional design. Google didn’t make any difference with the Pixels interface, they single-handedly customized the “Pixel UI” with a ton of features such as the Launcher, Google Assistant, Rounded Icon Packs, Wallpapers and Animations. Now if you’ve ever wanted to convert or turn your Redmi Note 3 Pro (Snapdragon Variant) into the Google Pixels UI, then you’re probably one step ahead. As usual a developer “Mgeranimus” at XDA forum has built a “flashable” zip that can bring all the Pixels features directly on your Redmi Note 3 Pro. While this may seem intriguing, you’ve to be rooted and your Redmi Note 3 must be running on the latest Lineage 14.1 OS custom ROM. To get this one going, make sure you’ve the below “Prerequisites”. You might lose your files, so backup all your data such as apps, contacts, messages and chats. Make sure your battery is charged upto 70% to avoid random shutdowns during the flashing process. Lineage 14.1 OS ROM : Download here. ADD-on SU Enabler : Download here. Google Pixel GAPPS (7.1 ARM64) : Download here. Add-on Blue Status Bar Better Than Pixel : Download here. To begin with, download all the required files from the above link. Next use a USB cable to transfer the downloaded files from your computer to your Redmi Note 3 Pro smartphone. Make sure they’re been placed in the internal or SD card memory. Just choose a directory that you can remember easily. Now switch off your Redmi Note 3 Pro and reboot into TWRP recovery mode by pressing and holding the Power and Volume down button at the same time for a few moment. Next you’ll need to perform a complete wipe, thus make sure you’ve taken a NANDROID backup of the current ROM. From the TWRP recovery mode, select the “Wipe” option followed by “Advance Wipe”. Now tick all the options in this area except the micro SD and USB OTG option. Once you’re through with this one, simply Swipe to Wipe. Then return to the TWRP main menu. From here, select the “Install” option, then locate the Lineage OS zip file you downloaded earlier on, then swipe to begin installation. Once the process is completed, you can then flash the official “Add-on SU enabler”. Flashing the SU zip file enables root access on the Lineage OS firmware. Once you’re through with this one, you’ll need to flash the Google “Gapps” which will automatically install the Play Store and Google Play Services. Simply locate the Gapps file from the directory you placed it earlier on, then swipe to install. Next you’ll need to flash the “Pixelized UI Mod v05” zip file, this will transform your Redmi Note 3 Pro to Google Pixel device, thus you’ll get the Pixel features such as Launcher, rounded icon, theme, wallpapers, Google Assistant etc. To flash this zip, hit the “Install” option from the TWRP main menu, then locate the “Pixel UI Mod v05″zip file and swipe to install. Now we’re already through! If perhaps you want the Google Pixel boot logo and animation then you can download and flash the files to your preference. Note that this step is “optional”. Once you’re through with flashing all the necessary zip file, simply wipe dalvik cache and reboot your Redmi Note 3 Pro device. 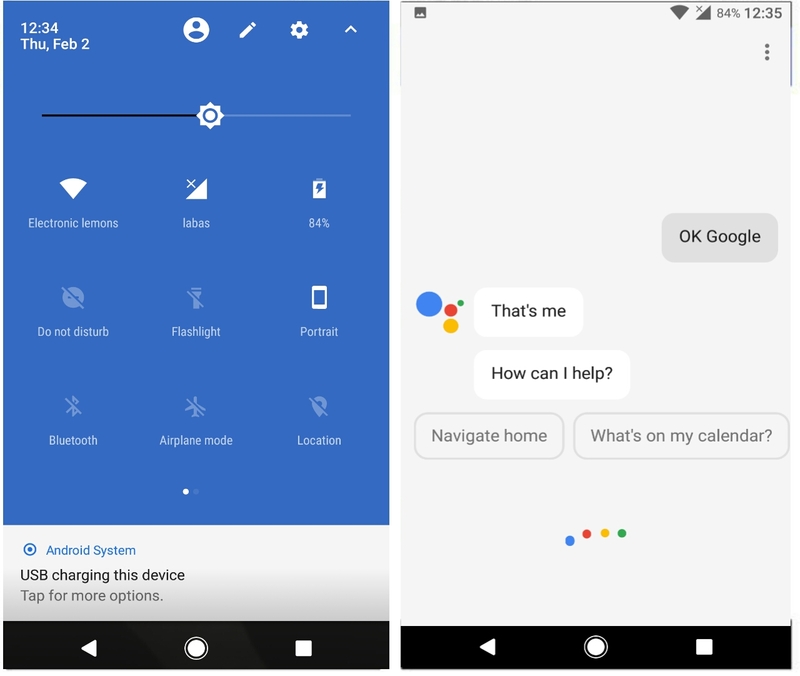 The first boot process might take a few minutes, once your device is back on track, complete the initial setup and remember to select English Language from United States because this will get the Google Assistant to work properly. The “OK Google” also works fine. I must commend that this mod actually provided everything i craved for. Having flashed this zip on my buddy Redmi Note 3 Pro device, it automatically enabled every bit of the Google Pixel features. There’s no need to manually install the Pixel apps to transform your device to Pixel-like. One great thing i love about the mod is probably the new notification panel and status bar followed by the Pixel solid navigation buttons. Overall it’s worth giving a try if you’re already a tinkerer! Is fp sensor and other sensors are working properly…?? ?